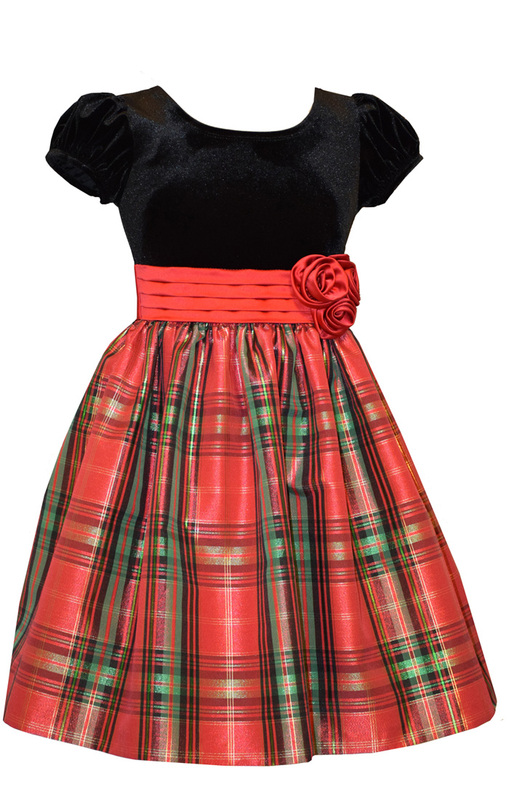 Beautiful girls Christmas Dress is perfect for the holidays. Black stretch velvet to plaid taffeta empire dress with satin pleated sash and roses. Perfect dress for your family Holiday Pictures.